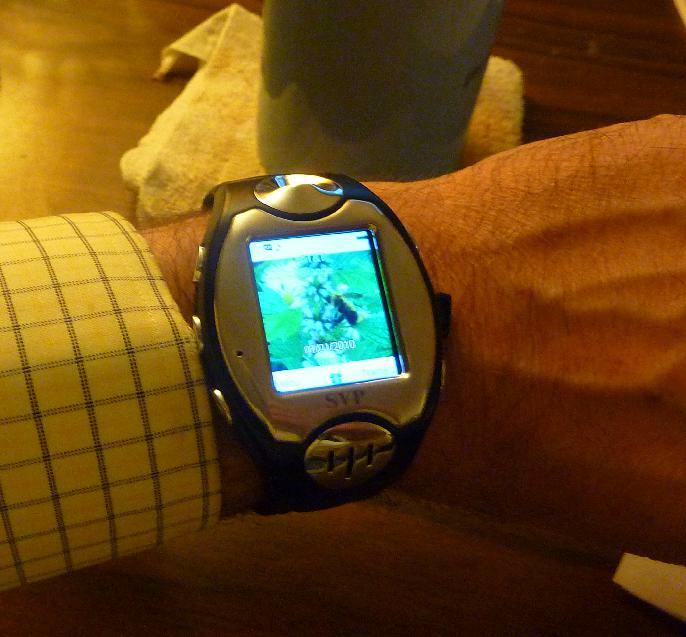 This is my wrist, and that item on it is a GSM cell phone. It really works. It even has a camera and a bluetooth adapter so I can use an earpiece and not have to whisper into my shirt cuff.